中国陨石发展现状与假陨石泛滥的问题 - 陨石品鉴 - 矿物网 - Powered by Discuz! The eBay Sellers from China (listed below) auction so many suspect meteorites …Hematite, magnetite, ferromanganese (slag), Mekong River Irons, and ordinary river-worn rocks are being sold as meteorites. Blatant scams hurt the uninformed and the hobby as a whole. …….As with the other Chinese auctions, no genuine meteorites appear to be actually listed." Why so many fakes? Other than the obvious benefit to the seller, the answer to this is unclear. 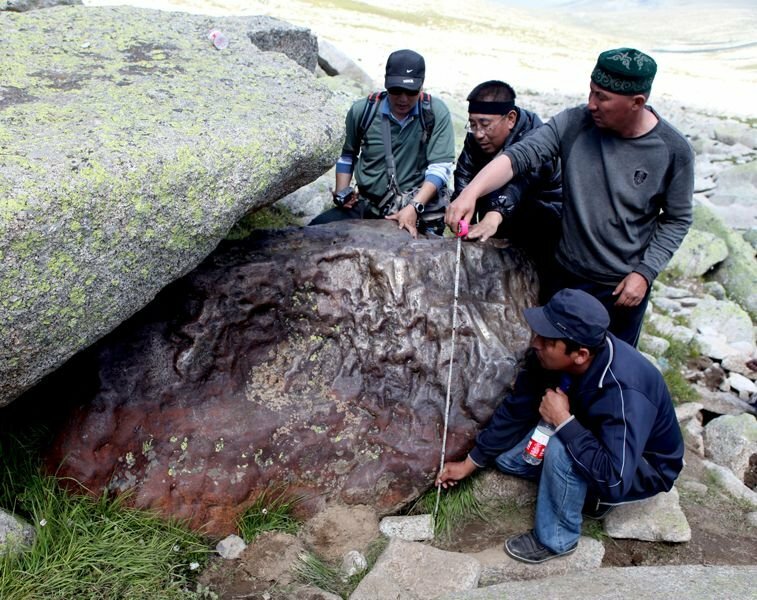 They either have very bad 'experts' or these auctions are continuing indications that China has been aggressively enforcing its meteorite ban the past few years. Either way the sellers are acting fraudulently…..
众所周知，我国政府并未执行陨石禁令，因国内民间假陨石泛滥严重并将假陨石卖到国外，致使国外各大网站的声明引导了世界对于我国政府的形象与中国陨石专家与陨石爱好者在国际上的声誉，在国际上造成了极其恶劣的影响…这个原因完全出在于国内假陨石犯罪嫌疑团伙上，抄作、诽谤、开假证明、宣传伪科学等，国际陨石协会IMCA的打击力度是相当巨大，大家可能不知道全世界的陨石玩家都在这里，IMCA的会员很多是专家学者，这种冲击力会影响未来数十年中国陨石发展的国际声誉…IMCA在打击中国假陨石的声明中用了一个令人玩味的标题The China Syndrome(中国症候群) ，The China Syndrome的涵义我将在后面文章中加注. 我国各地有不少以陨石坑、陨石群、陨石公园、陨石山、铁牛等为号召的观光景点，经我国专家证实不是陨石，但是还是刊登在政府或民间的旅游宣传册中，这个问题令人匪夷所思，这是欺骗的行为??这个问题分为两点来说，第一地方政府认为可以带动旅游是不是陨石不是最重要的，也可以达到陨石科普一定的目的，第二方面，地方行政单位要求科学家鉴定为陨石，甚至不息采取法律途径要起诉科学家，你如果说不是我就告你(这是真实事例)，这就乱套了，宏扬科学发展观必须先尊重科学家以科学为基础，如果地方政府以行政权不尊重科研单位，这对于我们国家的科学发展与教育起到了极其不良的负面效果，所有人会问为什么科学家都说不是，而你却说是，因为你有权力说他是吗?? (The China Syndrome)当然任何一个人都有权利说他的是陨石，但是我们应该尊重科学，由地方政府先做起，难道不是吗?? 任何充满期待的陨石持有者去科研单位鉴定不是陨石后，还是认定其是陨石并销售他吗??科学家已经证明不是陨石后，地方政府还要利用他去成立陨石公园召揽游客吗?? GMT+8, 2019-4-20 16:10 , Processed in 0.031749 second(s), 18 queries .